James Gunn getting fired from Guardians of the Galaxy Vol. 3 may be the best career move he’s ever made. According to multiple sources, Gunn is currently being approached by numerous studios who are waiting to pounce until his exit-negotiations with Disney have concluded. Gunn, who was fired on July 20 after an outcry on social media over offensive, years-old tweets, is being courted by several big-name executives and producers at major studios looking to hand him big projects, sources tell The Hollywood Reporter. “I’d work with him in a heartbeat,” says an executive at a rival studio who requested to remain anonymous due to the legal proceedings involved as Gunn exits Disney. “I’ve been advised that we can’t bring anything to him until the Disney matter is 100% resolved,” another executive says. Warner Bros. is said to be the major player involved in courting Gunn, tempting him with a huge project. WB of course owns the movie rights to DC properties, so if they successfully woo Gunn, the rivalry between Disney/Marvel and DC would reach a fever pitch. Gunn recently received an outpouring of support from the Guardians of the Galaxy cast and the film industry at large. 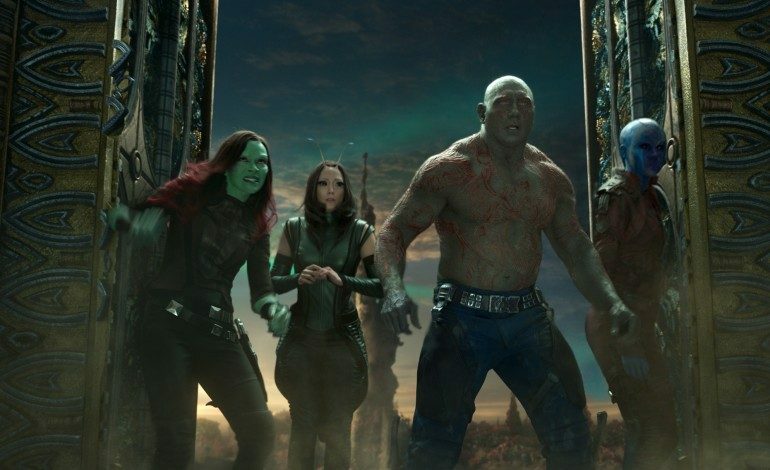 Dave Bautista, who plays Drax the Destroyer in the Guardians series, went so far as to imply that he’d rather quit the series than see it proceed without Gunn. Interestingly, Disney still plans on using Gunn’s completed script for the third Guardians film, according to THR’s sources. Adding another layer to the drama, sources tell THR that Disney is considering hiring Gunn for another Marvel project. That makes little sense, given the fuss over his dramatic exit and the supposed damage that keeping him employed would cause to Disney’s brand image. One would think that a studio focusing more on adult fare would have better luck at hiring Gunn while avoiding a major uproar. “Most people feel [Gunn’s] comments were coming out of his brand of comedy [at the time he made them],” says an anonymous studio executive. “Having an inappropriate sense of humor shouldn’t be a crime.” And we all know that crime doesn’t pay, unless of course Gunn pockets an estimated Disney severance package upwards of $10 million, and also gets a cushy new gig at a rival studio.